It must be admited that it is a paradox that elaborating the most supreme technlogy that was ahead of it's time did not save most of the tram lines in USA from liquidation. However, the US Tram technology has it's wonderfuel continuation in the Central and Eastern Europe. The huge success of this represented in the overall number od produced trams basing on the US technology has it's roots in selling the PCC licence by the TRC company to the Czechoslovak ČKD-Tatra conglomerate in 1948. It was the last ocasion to gain economic help from the US based on the "European Recovery Program", in Europe know as the "Marshall's Plan". In the fall of the 1940's as it is commonly know the diplomatic contacts between past allies; the USSR and West drastically coolled down. 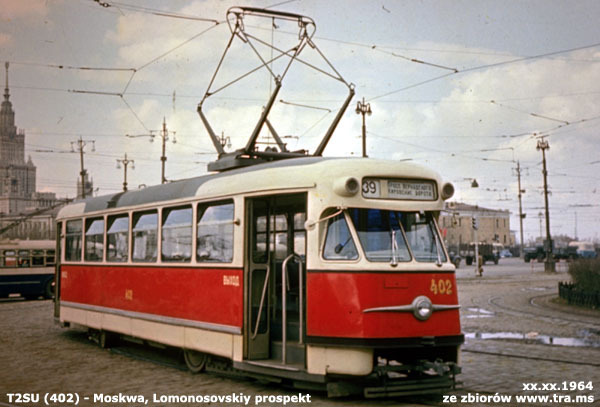 The first tram model build by the Tatra company basing on the PCC technology was the T1 type in 1951. Tatra managed to produce a total numberof 287 trams in the yaers between 1951 and 1957. This model was in use in six cities in Czechoslovakia. Also 20 trams were exported to Rostov upon Don in USSR (the only tram network in USRR with a track gauge of 1435 mm) and 2 more to Warsaw. These two operations lead to the uncontroled expansion of the PCC technology in the whole Eastern Block. 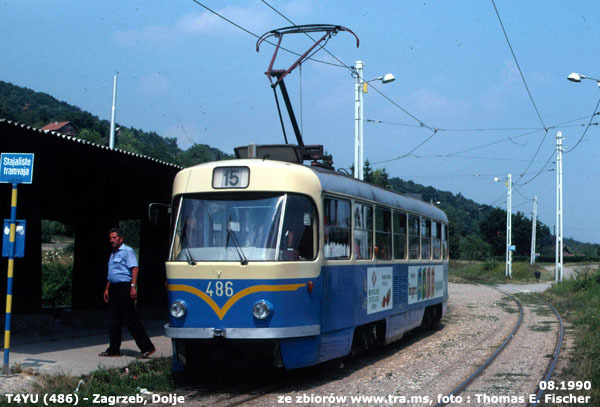 This Tram was build in 1957 and was used in Koczyce tram network where was given the 203 number. Moved to Ostrava in the year 1966 (where it was given the 683 number) was brought back to Koszyce in 1983. In the years 1983-1997 was installed as a monument in front of the Bardejovská depo. Serves as a historic tramcar in Koszyce since 2003. In the year 1958 the T1 model was replaced by the T2, which in comparison to it's predecessor had an extensive interior, but also a bigger weight. T2 was produced as a three-door for the ČSR (Czechoslovak Republik of People) and as a two-door T2SU for the USSR . It was the T2 model whre wide-gauge boogies were used for the first time by the company. 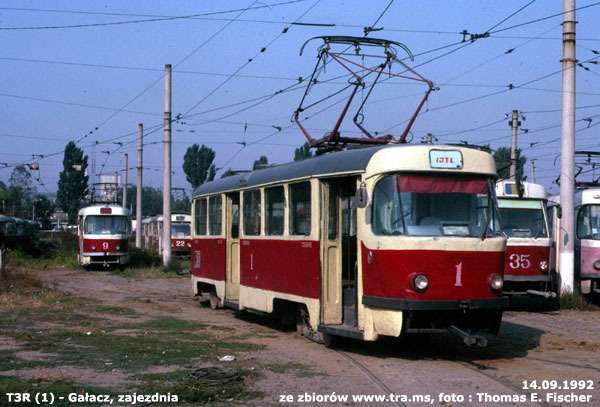 Untill the year 1963 Tatra managed to produce 771 of T2 trams. Cars #22 and #23 were build in 1958 for Ostava with 1435 mm guage boogies. In the yar 1995 the set of these two wagon was sold to Libers where after rebuilding was given 1000 mm gauge boogies. In the period between November of 2004 and June of 2006 standard gauge boogies were mounted in the wagons and afterwards again the trams were given the 1000 mm gauge boogies (in Liberes two types of tram tracks are used standard 1435 mm gauge and the narrow 1000 mm gauge). In the fall of 2006 the trams were removed from regular service. Tram #22 was used as a spare parts "donator" and finally in the October of 2003 was scrapped. 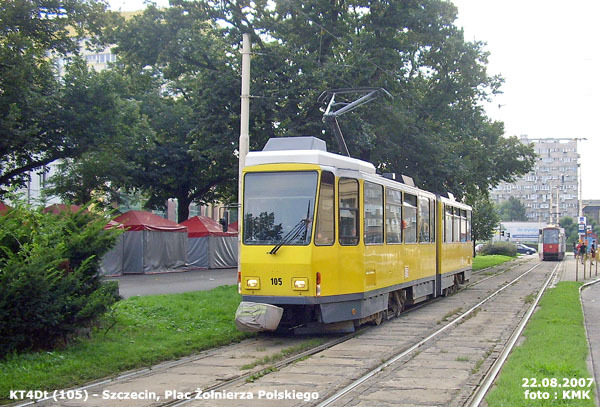 Tram #23 was sold to Pilzno when after a renovation is used as a historic tram. 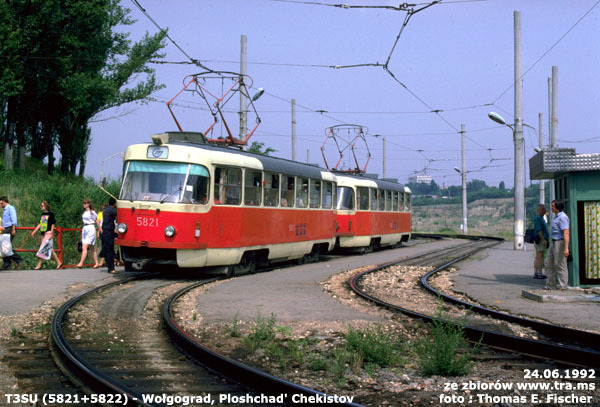 A total number of 391 trams of the T2 type served in the cities of Czechoslovakia. Tram wagon #402 is a one of the 180 tram series of the T2SU type delivered betwen 1959 and 1962 to Moscow. the remaining 200 trams of the SU version were distrbuted between such cities like: Kiev, Kuibyshev, Rostov upon Don, St. Petersburg or Sverdlovsk. In order to eliminate osme of the defects that saw the daylight in the T2 type a completely new serie of trams have been constructed - the T3 type, which in a short future happened to be along with the Soviet KTM-5 type the most popular type of tram basing on the PCC technology. The Tatra T3 has a more modern design compared to the T2. New construction solutions and the implementation of plastic parts resulted in the weight of the wagon being 2 tons less than the T2 type. Two first prototypes were introduced in the year 1960 and a full production of this type started in 1962. Untill the year 1980 8400 trams of T3 type were build. Whats more untill the end of the production 13991 motor wagons were build and 122 trailers. It must be mentioned here that the T3 type was noted in the Guiness World Book of Records as the most popular tram in the world. Such a high number of trams build was a results of mass orderc coming from the USSR. This decision lead to stopping the production lines along with developing new constructions of own, country-made trams in all the Eastern Block and the USSR apart the Czechoslovak Tatra. 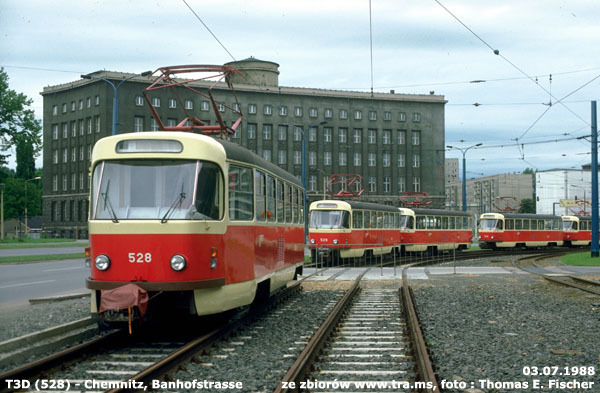 For example Eastern Germany in the year 1968 directed the whole production of their Gottha trams, type T2-62 to the Tatra facilities. This lead to a situation where just one year later, in 1969 all the trams for Easter Germany cities were imported from Czechoslovakia. Though standarisation was a primal key assumption in the PCC program back in the USA, it wasn't untill 30 year after in a socialist reality where it became possible. After the decision from year 1965 the Tatra conglomarate was deeply modernised and soon in the year 1976 a Tram with a factory number 10000 was build. The T3 model (with no extra derivative symbols) was assigned to Czechoslovakia only. A total number of 1369 T3 trams was build. Trams #5821 and #5822 were biuld in 1986. Working as a two tram train on the Volgograd pre-metro tram line. Tram of the T3SU type are the most common trams in the countries of the former USSR. A total number of 11368 trams of the T3SU type were delivered to the UsRR countries. 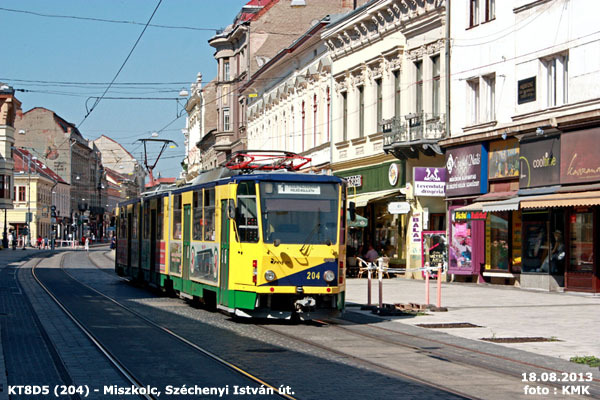 Only 46 trams of this type were build and delivered to two cities; Osijek (26 trams) and Sarajevo (20 trams). A vast number of these was modernised in 2006 by the DPO Ostrava and upgraded to the T3PV.0 type. 40 trams of the T3R type were sold to the Romania city of Galati. 135 trams of the T3D type were sold only to the Garman town of Chemnitz. Some of them were modernized in the years 1992-1993 to the T3D-M type after which the wagon gained a new body. After the 1998 all the trams were sold to other cities: Vladikavkaz (1998), Ufa (2000), Alamty (2005). Garman city of Schwerin bought 115 trams from Chemnitz. Another derivative of this type was build in the years 1992-1995 and marked as the T3Dc type. T3 type wagons were withdrown fro mregular service untile 2005 and replaced by the Bombardier SN 2001 type trams. Last trams of the T3 type were sold to the cities: Daugavpils, Dnipropetrovsk, Alamty and Tula. This type was build for the Czechoslovakian public transport companies only, both the 1435 and 1000 gauges. 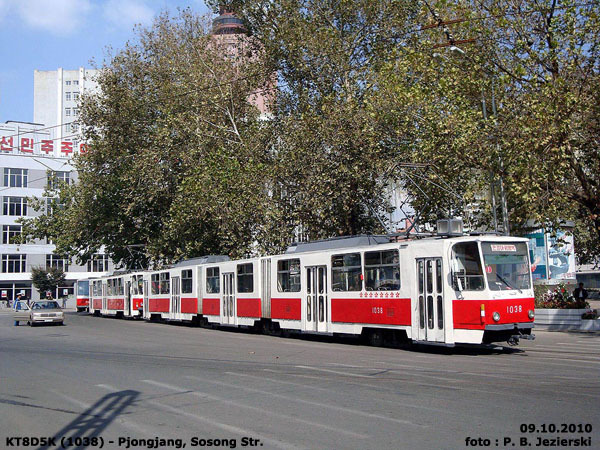 20 trams from Dp Praha in 2008 were sold to Pyongyang, capital of Norh Korea. Not everywhere was there a possbility to use the standard T3 type trams. 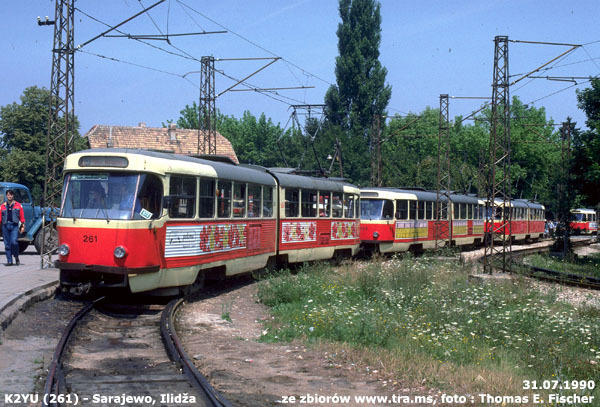 Similarly to the narrow-gauge system in Łódź where a special type of the standard cars - 802N were build with a narrowed body, most of the cities in East Germany, Romania and Yugoslavia where the narrow gauge was common, a special type of the T4 tram was developed, where its body was narrowed from 2500 to 2200mm width. On special requirement of Eastern Germany and Yugoslavia Tatra constructed two types of trailers - B3 and B4 - both without enignes. Tatra produced 2 prototypes of the T4 trams, 2635 production trams and 874 trailers of the B4 type. 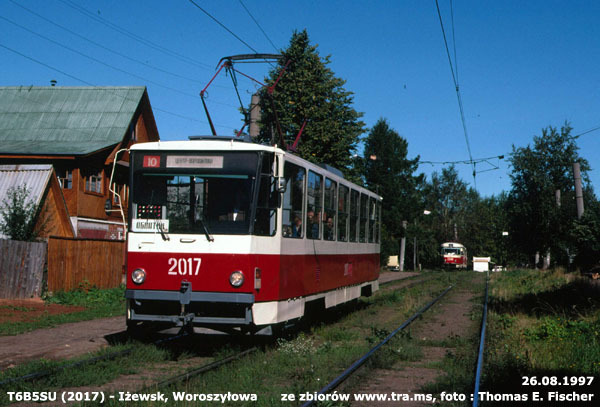 One of the first trams delivered to Drezno was the car with the 2000 serial number. In overall Tatra delivered to the German cities 1766 trams of this type (Drezno 572 trams, Halle 323 trams, Leipzig 597 trams, Magdeburg 274 trams). At present the tram with the 2000 serial along with other car @222 998-7 and the trailer B4D #272 105-7 coupled together are historical trams. German cities ordered 789 trailers of the B4D type. 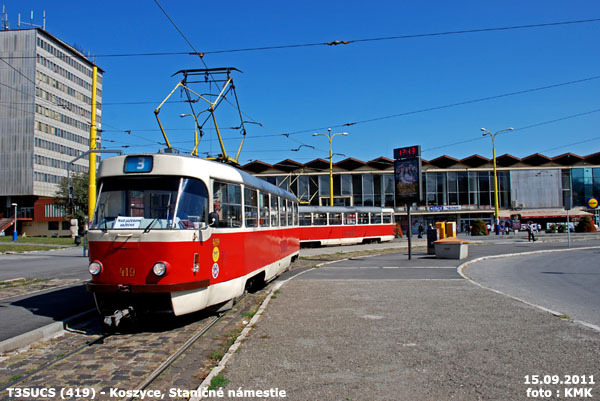 Tatra produced a total of 119 trams of the T4YU type for the citites of the ex-Yugoslavia which also included two protoypes which were used in the city of Belgrade. 95 trams were delivered to Zagreb (currently Croatia) and 22 trams to Belgrade (currently Serbia). 85 trailsers of the B4YU type were also delivred to Belgrade. Type used in the cities of the former Sovier Union. Overall Tatra delivered 431 trams of this type. 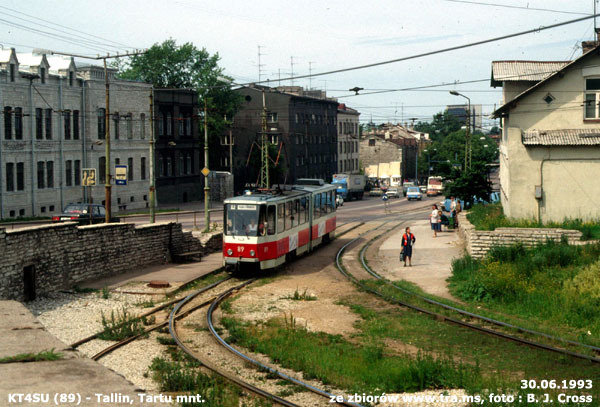 223 of those were used in Kaliningard (currently Russia), 15 trams were used in Lipawa (currently Latvia) and 60 trams were used in Tallin (currently Estonia). 73 trams were deliverd to Lwów, 42 to Winnica and another 18 to Zhytomyr, all of the three cities now in border of Ukraine. On the special order of the Romania cities in just two years Tatra company produced 321 trams of the T4R type. Out of those 100 trams were used in Arad, 10 in Braila, 131 in the capital city Bucharest, 70 trams were used in Iasi and only 10 trams were used in Galati. In January 195 a newd derivative of the T3 type was introduced by Tatra marked as the T3-180, which was later changed to K1. Similary to solutions introduced in trams build by Eurotram (BN type) and Polish Konstal (15N type) two sections of the tram were installed on two drive boogies and one passive placed between the two sections just under the atriculation. Tatra K1 had an air (pneumatic) brake system which was unusual at that time. 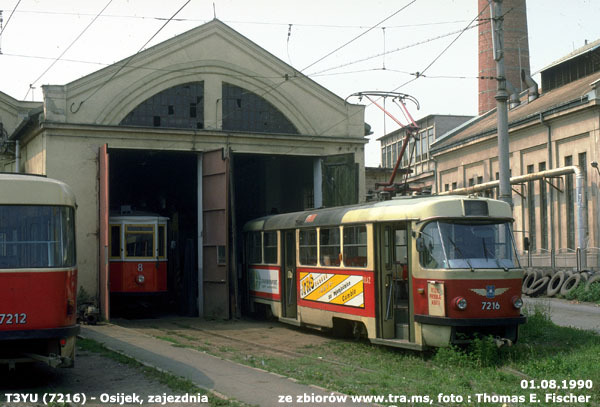 Unfortunatelly these trams featured a high ratio of being broken down, therefore after test rides in Prague and Ostrava they were returned to the producer. After this one of the K1 trams was rebuild and a new construction solution was tested in it involving two drive boogies with no passive Jacobs boogie in the middle, which was later applied in the KT4 type trams. In 1966 Tatra stared to produce an improved version of the K2 type trams with a traditional type of the braiking system. Between the years of 1966 and 1983 231 trams were delievered to the cities of Bratislava, Brno, OStrava and Novosibirsk (only one tram). Another 246 trams of the K2SU type were delieved to the cities of the Soviet Union abd another 90 to Sarajevo. In 1967 a two way porototype of the K2 type was constructed. Between the years of 1970 and 1973 200 type od the two way K5AR type were delivered to Cairo. 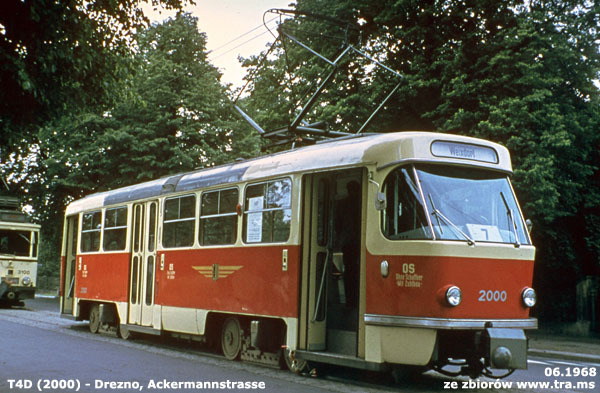 First articulated Tatra trams were produced mainly for the cities of Czechoslovakia and marked as a K2 type. 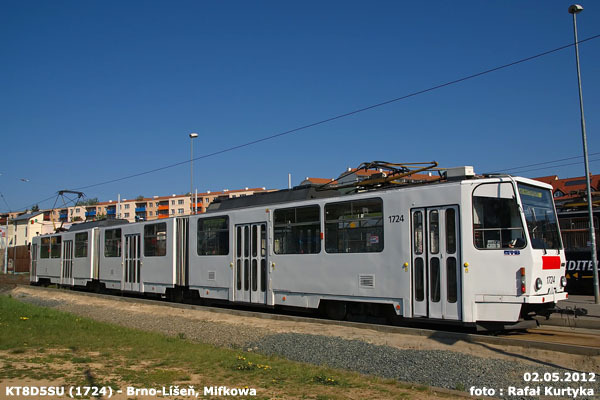 Out of the total number of 214 trams of this type procuded, 86 were delivered to Bratislava, 120 to Brno and 8 to Otrava. Out of 245 trams of this type build by the Tatra company, 240 were adapted to the wide gauge of 1520mm. Out of those wide gauge ones 40 trams were delivered to Kharkov, 30 to the city of Kuibyshev, 60 to Moscow, 36 to Novosibirsk, 19 trams were delivered to Tula, 36 to the city of Ufa and 20 to Sverdlovsk. Remaning 5 trams were used in the city of Rostov, where standard gauge is being used. 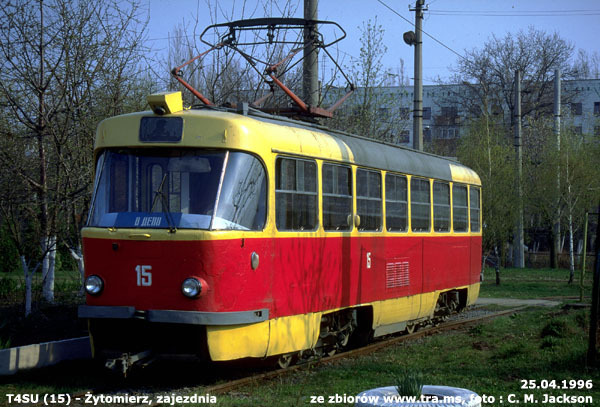 This model was ordered by Sarajevo were 90 trams of this type were used. Another 20 odered, but never picked up by the Yugoslavian site stayed in Czechoslovakia. 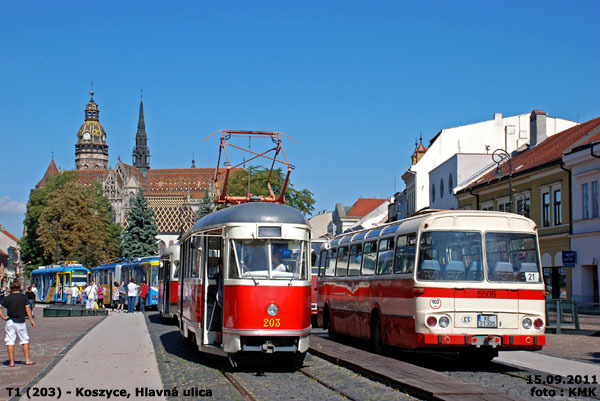 Out of those 20 trams three were used in Bratislava, 15 in Brno and 2 in Ostrava. Special order for a two way version of the K2 type was made by the city of Cairo marked as a K5AR. A total number of 200 trams of this type were produced. You may say that a new era began in the ČKD-Tatra company, when a completely new tram model of the T5 type was introduced in the year 1973. 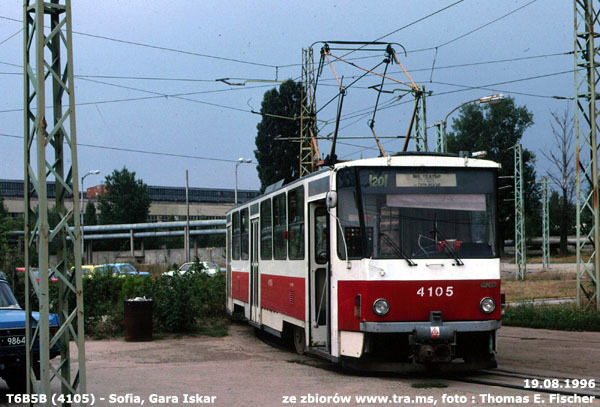 Tram represented a new trend that had a more angular body and was very similar to the presented a year later Konstal 105N type tram. Some say that it was a plagiarism, but only one year difference between building these trams is too little time difference for this to be true. It is very likelly that both the Czechoslovakian engineers at the Tatra and Polish ones at the Konstal company were inspired by the soviet tram of the LM68 type and even more likely by its improved type - LM68M from the 1970. At first the T5 tram was equipped with the classic starter system that had an automatic resistance starter. This system after completing test rides in the cities of Prague and Most was replaced in the mid 70's for a prototype thyristor starter system of the TV1 type. The prorotype T5 tram was scrapped in the 1985 year. In 1976 another two prototypes were build marked as T5B6 (according to the newly adopted nomenclature). This type was equiped with the thyristor system of the TV2 type. T5B6 trams were also wider (2600mm) than other trams from the Tatra company. This was the reason of sending both trams to Twer in the Soviet Union just after finishing test in the cities of Prague and Most. Unfortuantelly these trams had a high rate of breakdowns and a decision was soon made to send them back to the city of Most, were they were in use untill the year 1990. In 1996 one of the two trams was scrapped. the second example was luckily saved as a historical tram. It wasn't untill the year 1978 when the first batch of the T5 tram series was produced. 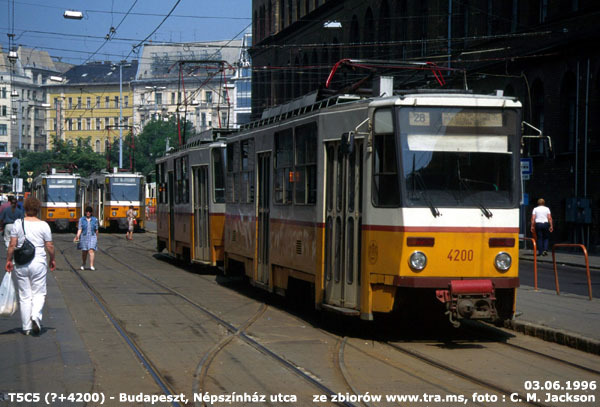 These waere the T5C5 type trams for Budapest all of them adapted as two way cars. 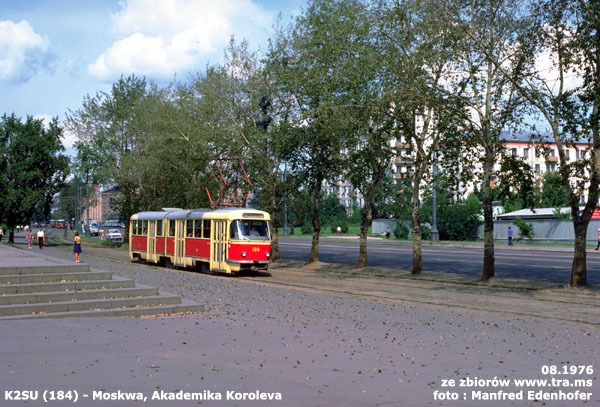 However the body was mounted with only one driver's cabin, so in order to fully use these trams as two way ones, two cars had to be coupled each with their driver's cabin facing the opposite direction (similarry as in the Konstal 111N type trams). Primarily there were plan to put a trailer between the two opposite trams, but eventually this idea was dropped. 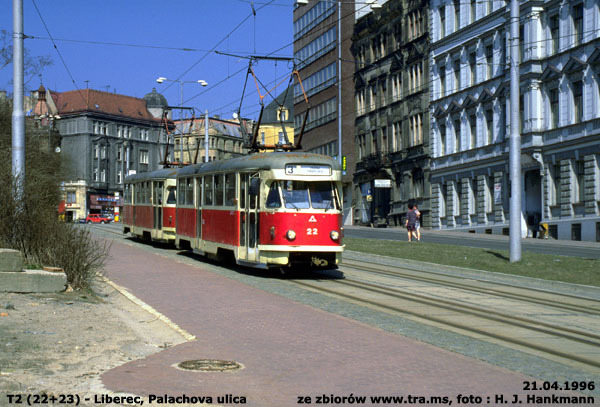 Untill the year 1984 a total number of 322 trams of the T5C5 were produced by the Tatra company. In the year 1981 a new prototype tram was introduced marked as T5A5, which was equiped in thyristor system of the TV3 type. This model was used as a crash test tram with the RT7M tram in 1998 and as you may already figured out this was the end of the line for both of them. Trams of the T5 type were produced only fo Budapest. C5 subtype although having all the technical solutions for the two way tram had only one driver's cabin. 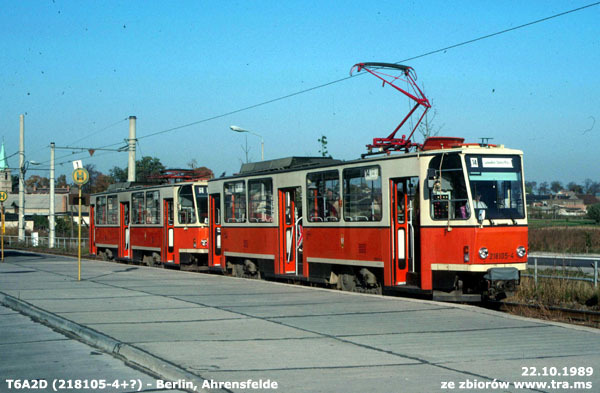 A new "short-articulated" type tram of KT4 was demonstrated to the public in the year 1974. The wagon was stylized similarily as the T5 type, but had the latest technical solitions. The tram was equipped with a two mtor boogies and had a non-supported articulation between the two separate elements of the body (this solution was tested before on a specially rebuild tram of the K1 type). KT4 trams were build only with a body wide of 2200 mm, so was mainly orderred by city public transport companies of the East Germany or the USSR and Yugoslavia cities that had a narrow-gauge tram system. Two prototype wagons were biuld in 1982 - KT4Dt - with a thyristor start-up system of TV2 type for the East Germany. Year 1991 brough another 30 trams more for China and Pjongjang in the North Korea. Untill the end of 1997 a total number of 1801 KT4 tams were build of all it's variations (not including the specially rebuild K1 tram). This type for the cities of the former USRR was marked with the letters SU. A total number of 435 trams of the KT4SU type was delivered to the cities: Eupatoria (18 trams), Kaliningrad (41 trams), Liepaja (22 trams), Lviv (145 trams), Pyatigorsk (35 trams), Tallinn (73 trams), Winnica (81 trams) and Zhytomyr (20 trams). 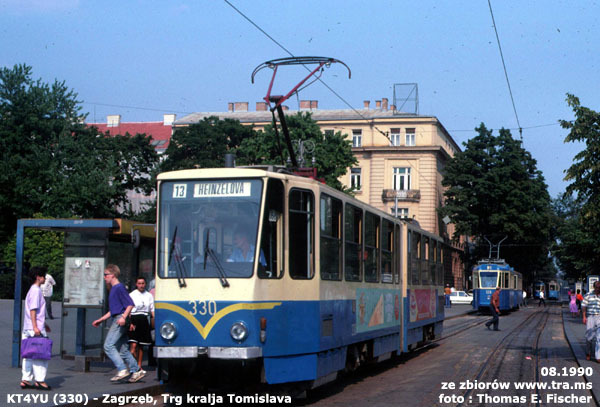 A total number of 271 trams of this type were build and delivered to: Belgrade (220 trams between the year 1980 and 1990 and in 1997) and Zagreb (51 trams in the years between 1985 and 1986). 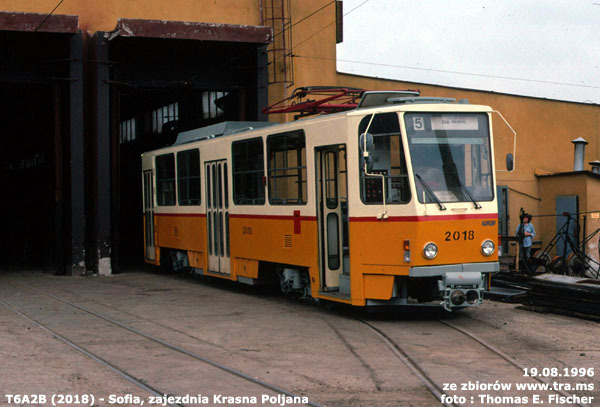 After ending deliveries of T5C5 trams for Budapest in 1984 immediatelly works began to produced modernized type of T6B5 wagons basing on the T5 series. Two prototypes were build earlier in 1983 and tested in Prague and then in Moscow. The KT8 trams were equipped with the thyristor start-up system of TV3 type. A stupendous number of 1279 trams were build in total, of which 1113 exported to USSR and after the fall of the coumnit empire to Belarus, Ukraine or Uzbekistan. The ramaining 166 trams were delived to Bulgaria and North Korea. In 1994 the ukrainian JumZ company bough licence from Tatra to build the T6 trams. Modernized and partial low-floor wagon are build in the Ukraine up to the present day. 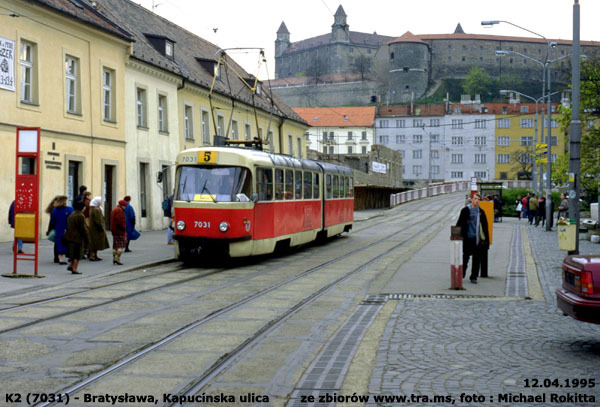 Also in 1985 Tatra began to produce a variety of the T6 tramm for the Czech and Slovak cities: T6A5 type. This tram was equipped with the thyristor start-up system of TV3 type, though in a couple of trams a new electric system of TV14 and TV30 was tested. It was during the T6 type production when Tatra ČKD decided to replace the standard harmonica doors with the new two-piece rebound ones. A total number of 296 trams of the T6 type were build. In the year 1998 a protytpe two-way wagon was build marked as the T6C5 type. As a two-way tram it was equpped with two motorman cabins, which enable the tram to be sued on lines with no standard loop. The T6C5 had a thyristor start-up system of TV14 type. After tests on the cities of Prague and changing the gauge of the boogies from the standard 1435 mm to the wide 1587,5 mm (the widest gauge ever of the Trams produced by Tatra), the prototype wagon was send to New Orleans, USA. However after the New Orlean tranposrt company being upset about the Tatra's financial condition decided to return the tram to it's maker in 2001. The tram after changing it's boogies once again was sold to the Garman city of Strausbergu in the year 2003. Trams of this type biuld especially fot the USSR and after it's fall for Belarus, Ukraine and Uzbekistan. Marked as tge T3M type in the those countries. A total number of 1113 trams of this type were build. Build especially for the first standard gauge tram line (1435 mm) and it's new Iskyr depo (regular service started in 1987) in the Hungarian city of Sofia. A total number of 37 trams of the Tatra T6B5, the B variation were exported to Hungaria in the years between 1989 and 1991. 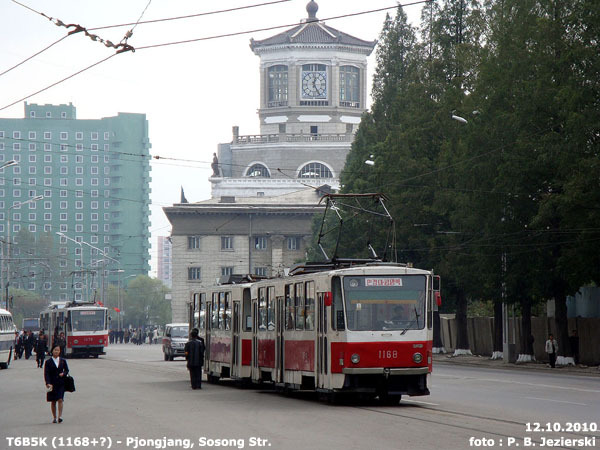 After delivering the Tatra KT8D5K type trams to Pjongjang in North Korea, Tatra supplied the city's public transport company in 129 more trams of T5B5 type in the year 1991. Trams of these series were build in 1991 for the only tram system in Bulgaria - Sofia with the gauge of 1009 mm in a total amount of 57 trams. 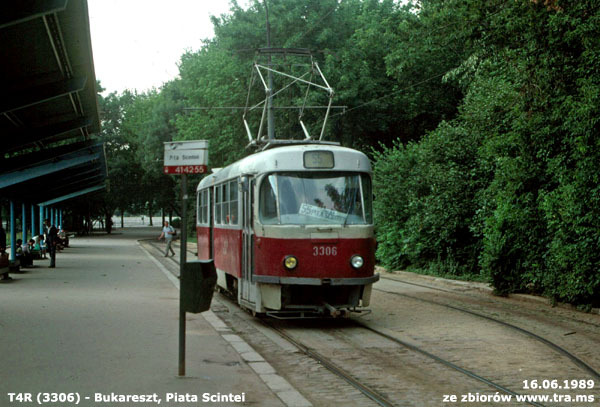 13 trams of this type were biuld in the year 1997 for the Hungarian city of Segedyn. This wersion was produced between the years 1991 and 1998 and only for the cities of the Czech or Slovak Republics. 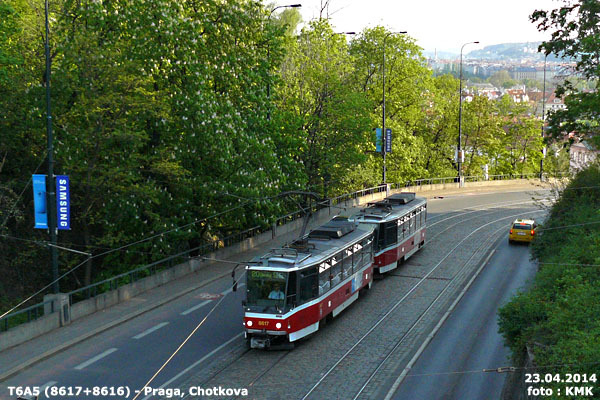 A total amount of 296 trams of this type were build: for the Slovak capital - Bratislava 58 trams, Brno 20 trams, Kosice 30 trams, Ostrava 38 trams and 150 trams for the Czech capital - Prague. Only one tram of this type was build. Basing on the T6A2 and T6A5 types the tram is a single segment and a two-way construction. After test rides in Prague the tram was transported to New Orlean, USA where it was adapted to the wide gauge of 1587,5mm. 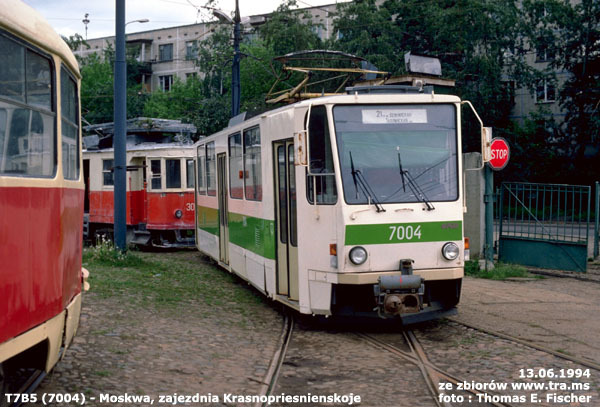 The tram remained unimpeachable, however serius finanse problems of the Tatra company in 2001 year forced the New Orlean Transport Company to return the tram back to Tatra. 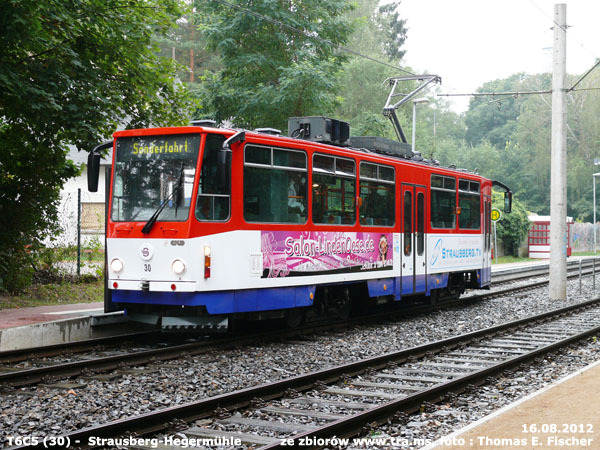 In 2003 after adpapting the tram back to the normal gauge of 1435 mm it was sold to the Garman city of Strausberg. Paratelly to the works on the T6 type a new three-segment tram was constructed. The tram used the PCC tehcnology, alike the multi-segment BN Eurotram wagons. Two first prototypes of the KT8D type started test on the streets of Prague in 1984. These lasted untill the year 1989. In September of 1984 during the test rides two trams were joined making a 60 meter long tram set. In 1989 the fisrt prototype was handed over to Moscow transport company and from there in 1990 to Volgograd. The second prototype was sold to Ostrava in 1984. The KT8 trams were equipped with the thyristor start-up system of TV3 type. The production went live in 1986 and lasted untill the year 1993. Most of the build trams were sold to the cities of Czech and Slovakia. 45 trams were delivered to the North Korean capital of Pyongyang, one tram of the KT8D5K primarily designed for North Korea was sold to Sarajevo. It was just an the beginning of the 1990's when the new tram proved to be too large for the public transport cities of Most or Kosice. The authorities of these decided to sell their KT8 trams to Miskolc, Sarajevo or the german Strausberg. At present Tatra KT8 trams are modernized by adding an extra low-floor segment and new electric equipment. A total number of 199 KT8 were build by the Tatra company. This type of tram was designed especially for the Czechoslovak public transport. A total number of 148 trams of this type were build. 23 of these were delived to Brno, 40 to the city of Kosice, 8 to Most, 16 to Ostrava, 12 to Pilzno and 48 to Prague. 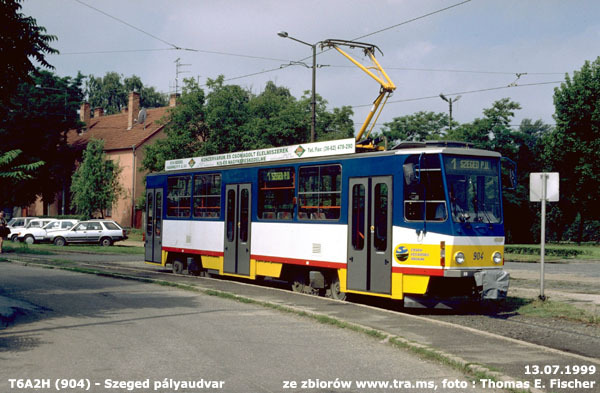 In the years 1990, 1992, 1996 and 1997 public transport company from the hungarian Miskolc bought 18 used trams of the KT8D5 type from the Czech or Slovak cities. Model KT8D5K was produced escpecially for the North korea capital ccity of Pjongjangu. 46 trams of this type were build, but one of them was delivered to Sarajevo. Only 5 trams of this type build for the Russian Volgograd, eventually transported passengers only in the Czech city of Brno. 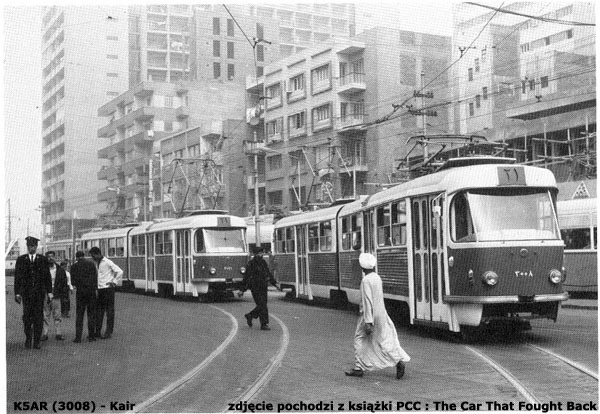 The next series of the ČKD trams still using the PCC tehchnology was the T7 series. But similarly to the T2 a huge weight of the tram resulted in many exploatation issues. The first two pototypes of the T7 serires were build in the 1988 and tested in Praue. Unfortunatelly there were numerous complains about the trams and soon the fist of the two trams was removed from regular service use and finally scrapped in 2002. The second wagon was rebuild in 1991 and sold to Oslo and from there to Göteborga in 1998. Two more trams were build in 1989 and tested in the city of Most. They were then sold to Moscow where two more trams of the T7 type were delivered in 1993. Exploatation of the first two ended in 2004. The trams were equipped wih a thyristor start-up system of TV3 type. Only 6 trams of T7B5 were delivered to the capital of russia where they were given the numbers between 7001 and 7006. Two first trams (prototypes) after tests in the city of Most were delivered in 1989. Four more trams were build in 1993. The last tram type of the ČKD still basing on the PCC technology was the RT8M. Despite the model symbol indicating a developed version of the RT6N1 type the RT8M is in fact basing on the KT8D5 model. RT8M was build for the Manila Metro Rail Transit System in Filipines and was to operate on the high-speed city rail system with it's high platforms. A prototype with a RT8D5 symbol was tested on the streets of Prague. 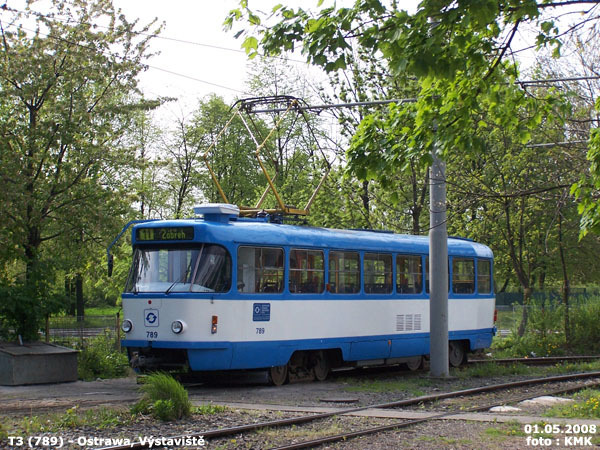 After perfoming a series of crash tests with a Tatra T5A5 tram the prototype remained in the Czech Republic but despite little damage after the crach tests never went into public service due to being adapted to high platform only. A total number of 73 trams were build in the yeares between 1997 and 1999. » Tatra KT8D5: w Pradze (#9048). During all these years almost every city where Tarta trams were used performed a numerous modernizations of there tram wagons. The main goal of these was to extend the trams exploatation period, but also to test new techlogical solutions. Every communication comapny but also trams works performing a modernization used it's own tram type symbols. The most polular modernizations included start-up system, lowering the tram's floor-board or entering an extra low-entry segment. Often theses included also changing the tram;s interior. At present the ČKD are a part of the Siemes concern, however trams are no longer build. - miasta wymienione w tabeli są miastami do których wagony trafiły jako nowe. - w nawiasach podano miasta, które otrzymały wagony tylko na testy, wagony używane lub zabytkowe z innych miast.